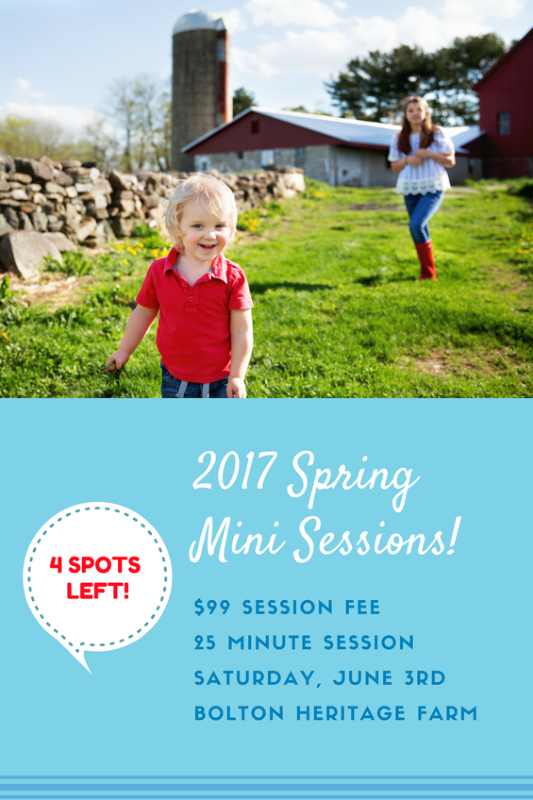 I have four available spots left for mini sessions at the gorgeous Bolton Heritage Farm! You can click right here to access my booking calendar and reserve your session time. We are hoping for a lovely day, but if the rains come, the rain date will be Saturday, June 10th. Special discounted print and product pricing applies and will be added to your gallery. If you have questions about minis, you can contact me at halliewestcott@gmail.com.